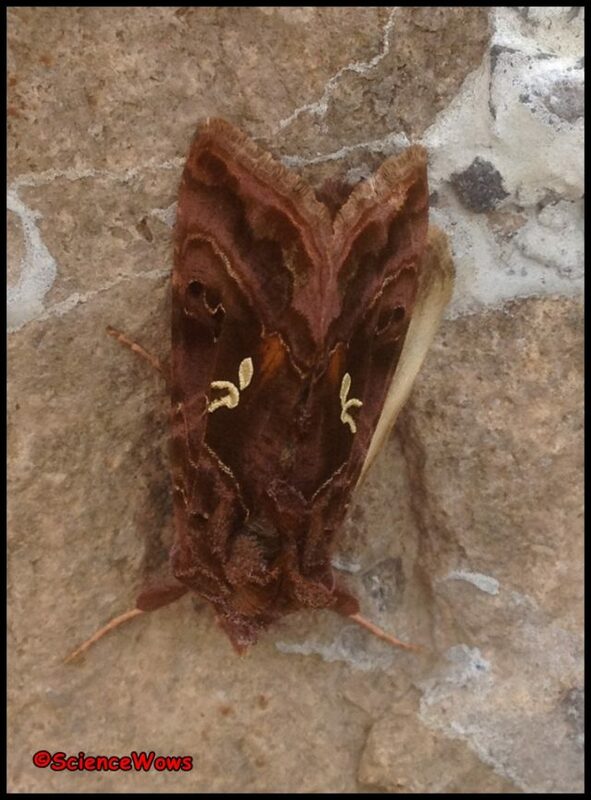 It was the Beautiful Golden Y Moth (Autographa pulchrina). The larva feed on low plants such as nettles, ragworth and honeysuckle and will often overwinter in this state. The moths can usually be seen from late May to August, they are commonly found in gardens, hedgerows, wasteland and woodlands.